Tango Kitchens Gets Featured on Houzz… Again! 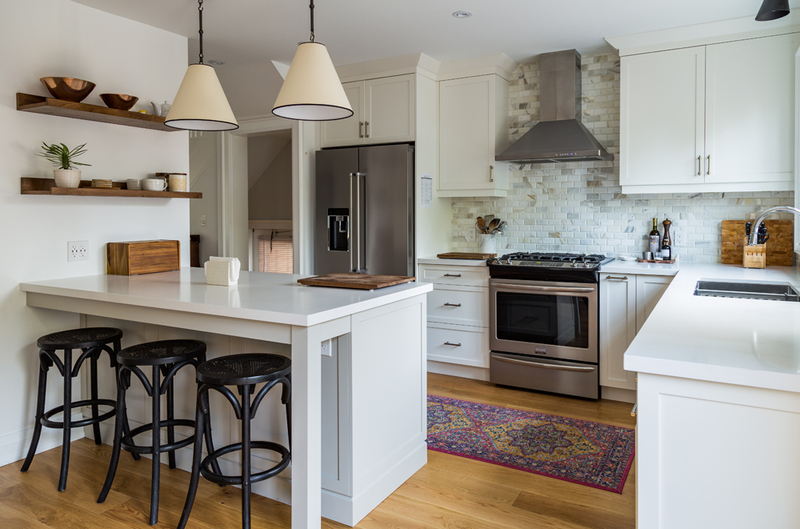 Home / Kitchen Renovation / Tango Kitchens Gets Featured on Houzz… Again! Houzz, one of the largest online architectural platforms, has featured a Tango Kitchens transformation on its magazine for the second time. The kitchen designed by Azar Sabzvari and Dena Labbaf was introduced and explained elaborately under the title ‘Cool Color Palette Enhances Light in a Toronto Kitchen.’ The kitchen renovation is a sight to behold involving some extensive design features that allowed the designers to give the old house located beside the water, a bold and fresh look. 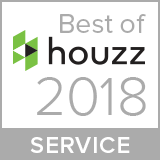 Tango Kitchens has also received the Best of Houzz Awards in Customer Service in 2017 and 2018. What does being featured on Houzz stand for? Every year, Houzz community members vote for the best brands amongst two categories, i.e. Design and Customer Service. 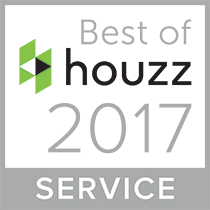 The selected service providers are featured on Houzz website while receiving a Houzz badge that adorns their profiles and websites standing as a symbol of excellence and consumer trust that the respective brands command. Being featured on it or winning the coveted Best of Houzz Award is one of the greatest seals of quality and innovation that a company and its projects can achieve. Tango Kitchens has had the privilege of being a recipient of the award two years running as well as having projects featured in the magazine twice. The project featured recently was done for a couple that lives with their two kids Downtown, Toronto. The kitchen, a 214 square feet space was completed remodeled and revamped giving it a unique blend of modern finishes while expanding the usable space in the same covered area. The design team removed an interior wall to merge both the kitchen and dining area into one space allowing the whole family to be together during meals and the energetic young lads to play around while their parents can keep a watchful eye over them. One of the biggest dilemmas during the project was balancing the dining area and pantry into the entire theme and layout because the owners insisted on having a formal dining area. However, the team successfully negotiated building a nook along with a dining peninsula which once finished, presented an amazing sight and the couple themselves, were more than satisfied. Tango Kitchens has always provided quality kitchen solutions that have astounded clients and allowed them to build a loyal brand following. Furthermore, being featured on Houzz and receiving the famed Best of Houzz awards have been a significant feather in their cap.